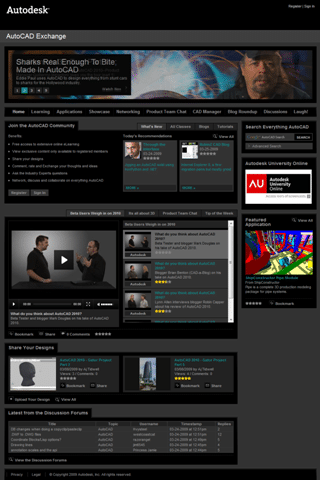 During my time at Autodesk University 2009 this year, I had the chance to sit down with Heidi Hewett and record some videos for the AutoCAD Exchange. 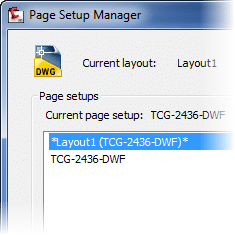 Among the topics, we discussed were Named Page Setups inside AutoCAD. Despite their time-saving potential, Named Page Setups seem to be one of those features that’s been in the software forever, and is often overlooked. So if you find yourself overwhelmed with the endless array of plotting options inside AutoCAD, have a look at this quick video. In the video, I’ll show you ways to capture all the settings inside the AutoCAD PLOT command in a way you can configure the dialog once, and use it again and again. In addition to the time Named Page Setups can save you, they also ensure each of your sheets is setup in exactly the same way; so your title block will plot in the same location on every sheet. Great news! You know all those cool new features like parametric constraints, the contextual ribbon, dynamic block enhancements, etc that myself and every other blogger in the blogosphere have been raving about for months now? Until today those posts were pretty much “come and see the cool features you could be saving time with (if only AutoCAD 2010 had shipped)”. Wait no more, subscription customers your copy of AutoCAD 2010 is in the mail! As you might expect the blogosphere is rather lively today. Google Reader was full of posts from blogging favorites like Heidi Hewett, and Shaan Hurley (Between the Lines). Speaking of Shaan, he has to qualify for some award for most posts in a 24 hour period. Google Reader had 4 posts queued up from him alone this AM.